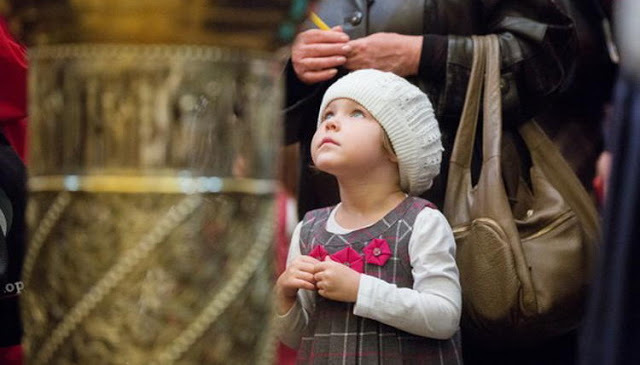 There are dozens of children’s questions concerning prayer, icons, and church worship… in general, everything related to life in the Church. 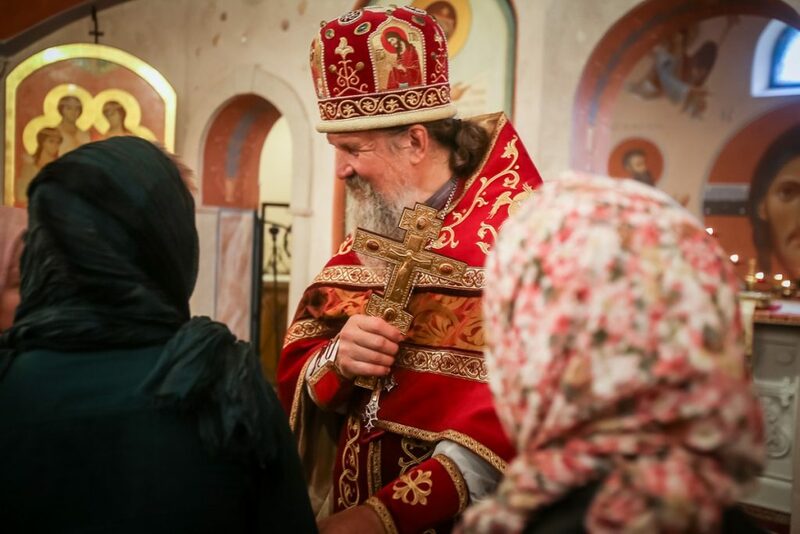 We’ve collected several of these questions and asked Archpriest Alexander Yelatomtsev, the rector of the Church of the Nativity of Christ in v. Rozhdestveno, Istra Raion, Moscow Region, and the spiritual father of Rozhdestvo Orthodox School, to answer them. Why are icons painted in such a cartoonish manner? You’ve found a very sensitive point in the life of the Church. Icon painting is a very important way of preaching the Good News, i.e., spreading the Christian faith. Unfortunately, icons don’t always reach such a high level of artistic perfection. Often, they are painted to suit the low taste of the person who orders them. Sometimes, icon painters aren’t skillful enough. If you look at the real icons, e.g., Holy Trinity by Andrei Rublev, icon of the Mother of God of Vladimir, icons from ancient Athonite monasteries, or Greek mosaics, you won’t find anything cartoonish about them. Some icons seem to be too simple, as if they were painted by a child. Believe me, all true painters were dreaming of being able to paint like children but not everyone can do it. Only holy and pure souls are capable of portraying the saints’ faces with such artlessness and spiritual precision. Sinful adults are trying to fake that purity and simplicity, and that’s where the cartoonish icons come from. Perhaps, you meant that people and animals in the icons look different than in real life? It’s made for a reason, not because the painter doesn’t know how to paint “realistic pictures”. 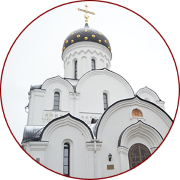 An icon reveals the spiritual world, which is very different from our world. You can’t see it with human eyes, so a realistic manner of painting doesn’t describe it well. Which manner is better, then? The one that conveys the most important meanings, and conveys them symbolically, not literally. This language is the language of icon painting where nothing is painted aimlessly, where everything has its symbolism: colors, sizes, and shapes. There isn’t anything cartoon-like in this way of depicting holy images. If the icon isn’t realistic, does it mean that it’s cartoon-like? 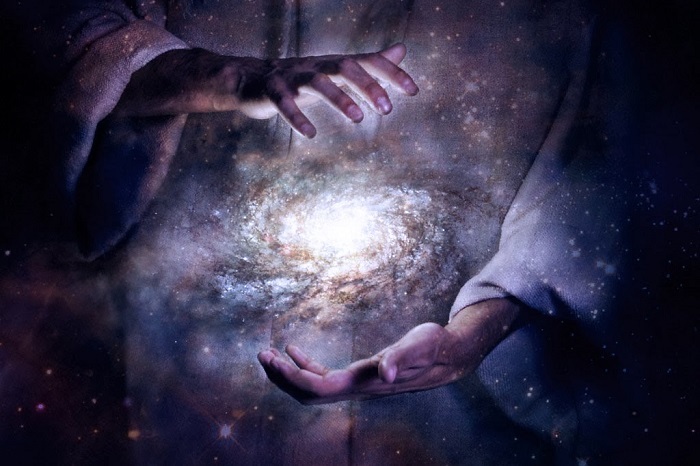 The Prayer of Saint Macarius the Great (one of the evening prayers) contains the following words, “And cause me, uncondemned now, to sleep a dreamless sleep, and keep Thy servant untroubled by thoughts.” What does a dreamless sleep mean? Is it wrong to have dreams? It’s great that you pay attention to words of holy prayers. The word “dream” has several meanings. Dreams (i.e., imagination) are beneficial for a child. It is great for a child to dream about journeys to distant lands, adventures, dangers, and love. That is how a child (or even an adult) expands his mind and takes on new roles, experiences faithfulness and betrayal, weakness and power, and pursues certain goals. If the goals that you’re after are good, and if you do your best trying to achieve them, it means that your dreams weren’t in vain. If they remain abstract thoughts without good tangible results, then the word “dream” acquires a bad meaning and turns into an “empty daydreaming”. The word “dream” in this prayer refers to memories and thoughts about your sins. Memories of your sins attract your attention, embarrass you, and smear your soul. The dreams like those can break into your sleep, and that is why we ask God to keep us free from them. During the All-Night Vigil, the priest consecrates five loaves of bread as a way to remember how Jesus Christ fed people with five loaves of bread and two fishes. Why don’t we consecrate two fishes, too? That’s an old tradition. I think I know the reason for it. Fish was a symbol of our Savior. The Greek word for ‘fish’ is ιχτυς (/ˈɪkθəs/). It has been interpreted as an acronym or acrostic for “Ἰησοῦς Χριστός, Θεοῦ Υἱός, Σωτήρ”. ι Iēsous (Ἰησοῦς), Greek for “Jesus”. χ Christos (Χριστός), Greek for “anointed” (of the Lord). τ Theou (Θεοῦ), Greek for “God’s”, the genitive case of Θεóς, Theos, Greek for “God”. υ (h)yios (Yἱός), Greek for “Son”. ς sōtēr (Σωτήρ), Greek for “Saviour”. Due to the fact that fish hints at the Savior, first Christians often used fish symbols in their churches. However, fish is merely an image, while bread turns into the Body of Christ during the Sacrament of Eucharist. That was why the Church decided to use the more important object, namely, bread (five loaves, like it was in the Gospel) during the service. 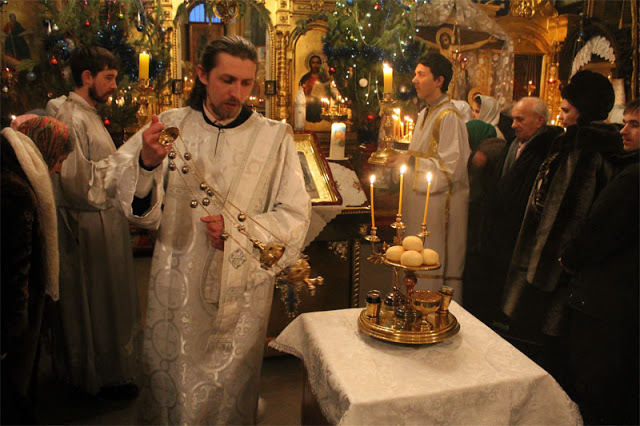 That is, on the eve of a holiday (bread is consecrated during the All-Night Vigil service on the eve of a holiday), the Church already prepares us for the Liturgy and reminds us of the heavenly bread. What rules must a priest follow? There are a whole lot of rules for priests. Speaking of external, formal rules, it’s hard to list them all: a priest must obey his bishop (that is, his ecclesiastical superior), manage his parish, build or repair a church, lead church worship diligently, etc. 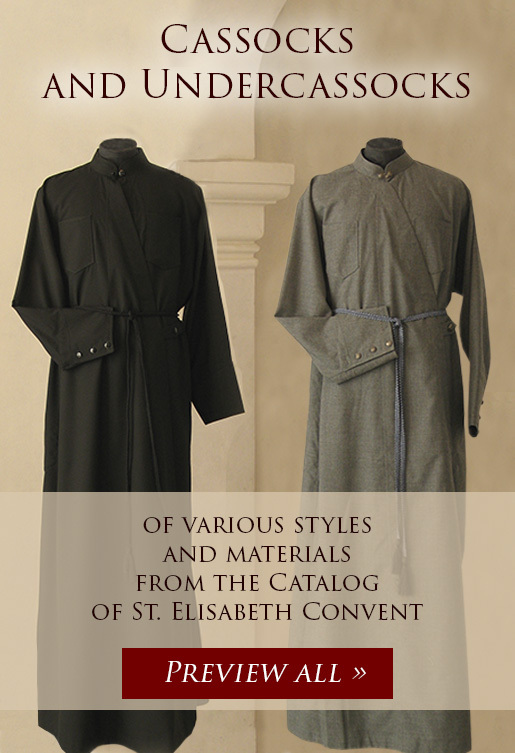 There are many rules of proper Christian conduct, which a priest must follow much more strictly than a lay person. For example, if a layman’s wife dies, church canons allow him to marry again. But a priest cannot re-marry. If he marries again, he will lose his priesthood because he is obliged to maintain the sanctity of marriage. According to Jesus Christ, one can have only one marriage in his/her life. I’d like to underline the fact that a priest must love his flock and not himself, so that God wouldn’t tell him in the end of his earthly journey, “You’ve tended to yourself well, but you’ve abandoned my sheep!” That is why a priest has to be very strict towards himself and compassionate towards everyone else. Again, compassion must not lead people to forget that the path to God is narrow and steep. The priest must walk up this path first so that it could be easier for other people to follow him. Is it allowed to make small figurines out of church candles? Is it bad? Is it possible to pray without icons? Yes, it is possible but it requires extra effort. especially true if that window is good and transparent, that is, if you can clearly see through it and the faces of the saints really shine with spiritual beauty and purity. If you don’t have this window, you have to get by looking at God “through the wall.” You will have to imagine that you stand before him and exert your mental capacities to get into the invisible world. It is harder but it’s a very useful experience, too. You should imagine God like they paint him on icons or stand before him as the Unfathomable and Unknowable One, while at the same time the Good One who listens to our prayers. What can be simpler than children’s questions, right? Isn’t it easy for us adults to show how informed we are and to open our uneducated kids’ eyes to something that we already know? It turns out, things work differently. If an adult is able to follow his own flow of words, his own explanations, he will notice that complex words are useless but it is not always feasible to explain complex concepts in plain and concise words. Additionally, a child’s question may contain something that he or she doesn’t say, something that remains beyond the scope of his question, something that he or she hasn’t yet formulated well enough or is afraid to ask, and you have to guess what the real question is. Sometimes you can’t respond to the real question but it’s vital that you understand what it is. The question that impressed me the most in our today’s set of questions was the question about icons. 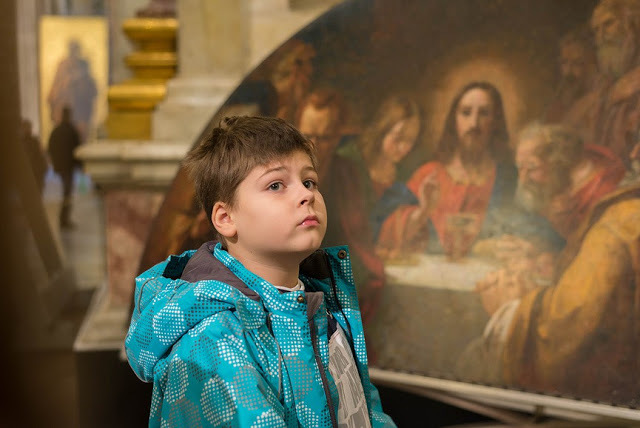 The question was simple but straightforward, “Why are icons painted in such a cartoonish manner?” The author of that question is a 14-year-old teen, at which age people tend to react strongly to everything lifeless, inauthentic, and artificial. Cartoonish means fake, far-fetched, and unnatural. Cartoonish icons don’t meet the teenager’s demand to see the real truth. One doesn’t actually feel inspired to believe them and pray in front of them. In that sense, the realistic icons painted in the academic style can easily be seen as cartoonish because they represent only earthly truth but do not show the spiritual truth. That spiritual truth is conveyed only with a language of symbols. Nevertheless, even that symbolic language can turn out to be a fake if you use it “not for real”: if you utilize known expressions and methods and don’t live according to them. We always seem to fall prey to this “cartoon” when we talk about God in oversimplified baby terms. We live in that fictional world when we pray to a God the Father with a long and dense white beard looking at us from the clouds. We might even remind ourselves that no one has ever seen God the Father, and this is an iconographic symbol. It won’t suffice for a teenager, though. He needs an honest icon, spiritual truth, and discovered mystery. There is something fake about our adult faith and our everyday Orthodox practices. That was why the simple question about icons stirred me up. 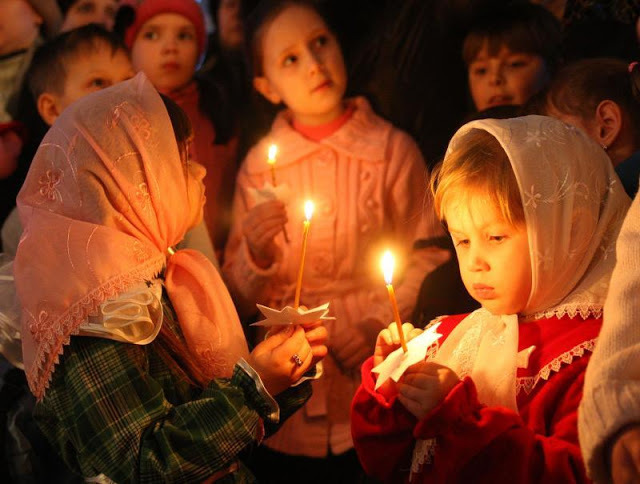 I wish us all to demonstrate the real faith and true, highly spiritual Orthodoxy to our children. 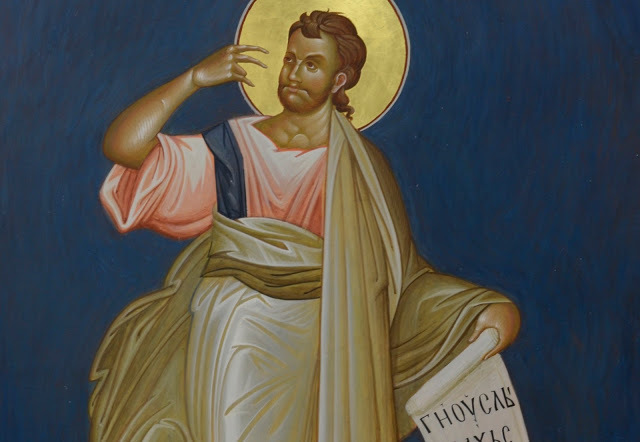 “Infancy Gospel of Thomas”: Could Apostle Thomas in Fact Be the Author of This Apocrypha?